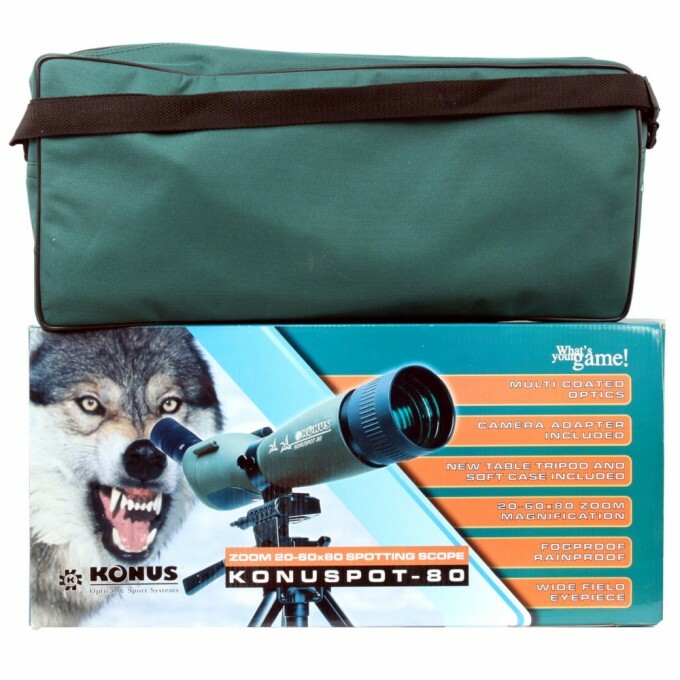 20-60x80 Konus spotting scope with tripod. Spotting scope with great brightness and wide field of view that ensure high definition images even when there is a lack of lighting. 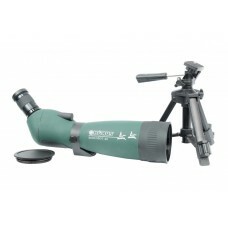 Equipped with a 45 degree angled eyepiece, multi-coated lenses, with an adjustable magnification factor from 20x to 60x. 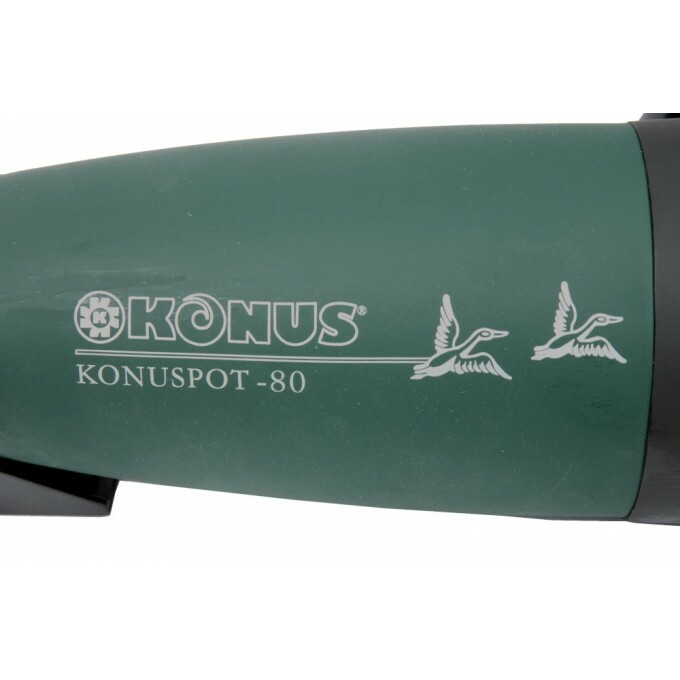 KonuSpot-80 is enriched by an external coating in green rubber and comes with a pactical carrying bag and adjustable tripod support. 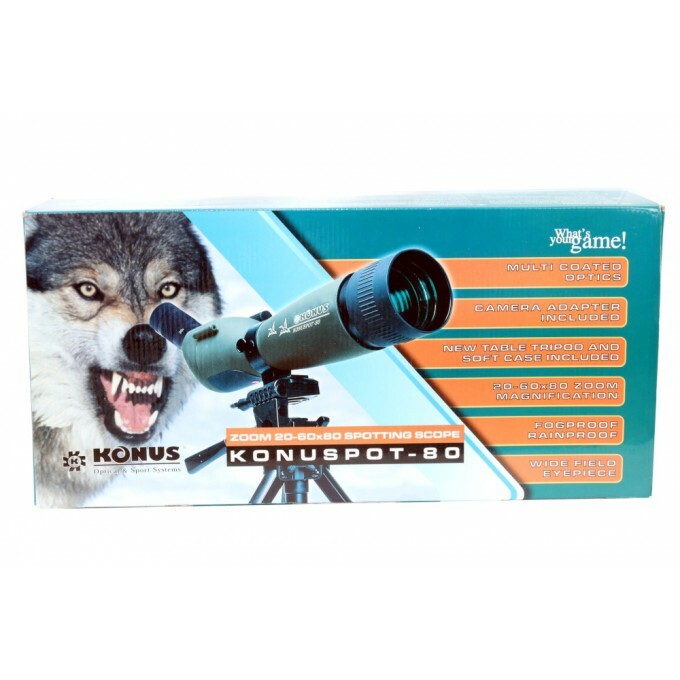 An adapter for traditional SLR cameras is also included.